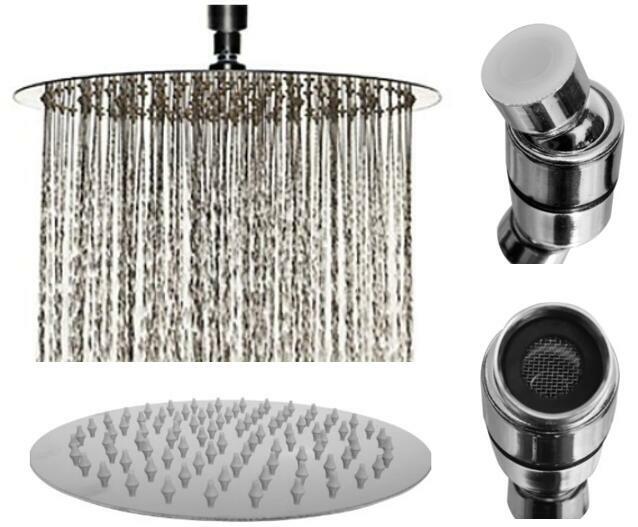 There are a lot of different shower head types on the market – from fixed shower heads to adjustable shower heads and heads with pressure chambers, you can find almost anything on the market today, and each type of shower head has its own appeal, and its own use. Fixed shower heads are the simplest type, and they’re an affordable and ‘good enough’ option for relatively new properties with good water pressure. 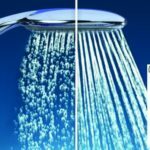 If all you want is a nice relaxing shower and your plumbing is good enough to provide steady pressure then it’s well worth looking at these basic shower heads. 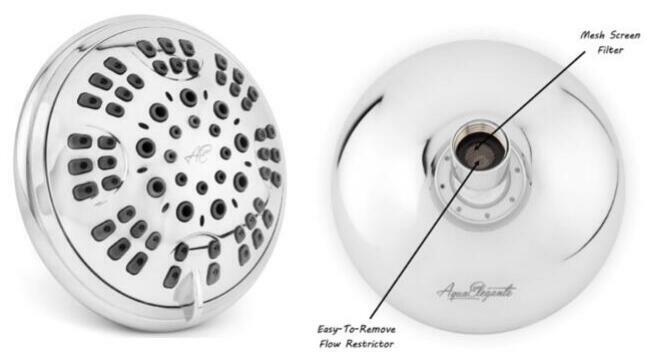 –5 Gpm low flow rate fixed waterfall showerhead, a flawless performing shower head for years with a simple rainfall design that allows easy control of both water flow and temperature. For those who live in areas where water pressure is more of a problem, there are other options. For example, you could look at adjustable shower heads or heads with a pressure chamber. The pressure chamber forces air through the shower head, and this can be used to increase the water pressure. 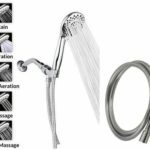 This is good for people who like a nice heavy feeling massage from their showers, since it is something that can greatly increase the water pressure – and can make the shower feel warmer too. There are adjustable shower heads which can be set to standard pressure, or twisted to provide higher pressure by forcing the water through smaller holes, or fewer hols. The difference between the standard and high pressure setting can vary quite a bit – and if your home has relatively low water pressure, but you can get a steady, gentle trickle out of a normal shower head then this can be a good option. 6 different settings, enjoy the high-quality, luxurious shower system. 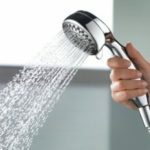 If you already have a fixed shower head and you’re not happy with it, then look at the other options. It’s pretty easy to replace your shower head – certainly not a DIY task on the order of replumbing your entire bathroom. 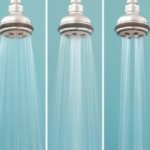 Shower heads don’t cost a lot of money, so it makes sense to try this option instead of calling in a plumber right away. For money saving, you can try this best affordable AKDY® 4″ Massage Jets under $10, it’s the best budget shower head for money. 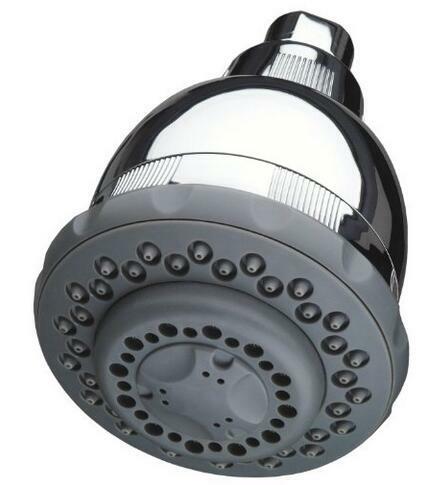 The pressure of your shower can start to deteriorate over time if your shower head gets gunked up or clogged. One good way to clean it is to use a cleaning solution of baking soda, or vinegar, in a bag tied over the shower head. Leave it overnight to work its magic, then flush the shower out by running it for a few minutes. You may need to do this fairly regularly if you live in a hard water area. Alternatively, you can stop your fixed shower head from getting bunged up by fitting a water filter to your pipes, so that the water coming out of the shower is already ‘soft’.